In 2010, Andrew Makadsi graduated from The University of Toledo with dual bachelor’s degrees in film/video and communication. He headed to New York to work in the fashion industry, not as a clothing designer, but as an intern. These humble beginnings when he worked for free, or nearly free, helped him make contacts in the fashion industry and earn a name for himself. 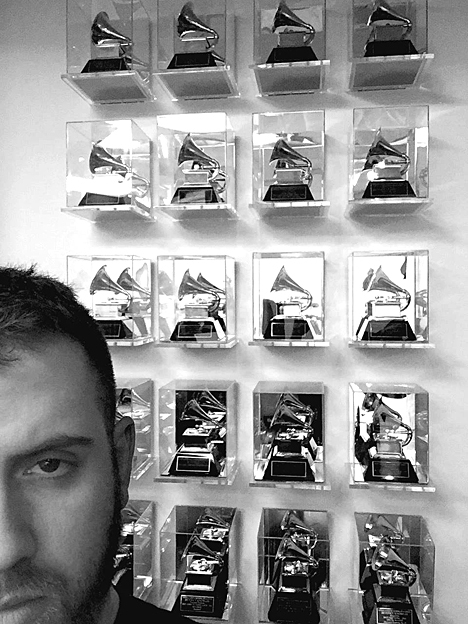 In less than six years, all of that hard work got him noticed, not only in the garment district, but in music industry circles among artists like Beyoncé. Makadsi’s passion for fashion began long before he left the University. Inspired by top clothing designers and the artists who create the images that promote their work, his film class projects often combined his love of photography and art design with his obsession with fashion. Some of his non-class student projects involved fashion design installations, such as one he helped create for a Student Filmmakers Showcase after-party. The party theme and décor essentially comprised an art installation that was film and fashion-based. While the UT film program presented Makadsi with opportunities to branch out to explore other artistic venues, it also allowed him to develop his fashion aesthetic on a deeper level. Another critical aspect of the program was that the technology was up-to-date and readily accessible. Clearly, Makadsi made the most of it. It was his collaboration with other artists in New York that created the opportunities for work and projects that brought him recognition. Over time, free projects led to paid gigs and eventually full-time work. Makadsi said he never wanted to settle into any one area of the industry, which is what intrigued him about art direction. One of his major full-time jobs was with Industrial Color, a creative production and post-production house; it was there that he learned he enjoyed the full spectrum of art direction. “I would shoot images, do productions, and I realized that I should be an art director, then I could be involved in so many different things not just one thing,” he said. In his fashion work, Makadsi has done work for top designers, including Alexander Wang, Chanel, Dolce & Gabbana, Louis Vuitton, Sephora, Levi’s and others. 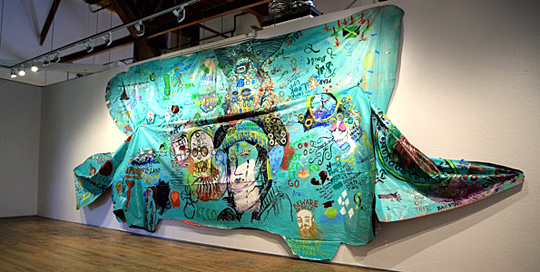 Chris Olszewski will talk about his project, “You, Me and the DeVille Makes Three: Vision Quest 2016,” Thursday, July 7, at 10 a.m. in the UT Center for the Visual Arts Haigh Auditorium on the University’s Toledo Museum of Art Campus. Olszewski is part Native-American and initiating a trek that will take him and his Cadillac from Detroit to Quebec City and back. Along the way, including pre- and post-trek stops in Toledo, the professor of art in the School of Foundation Studies at the Savannah College of Art and Design will work with groups of students as well as local communities on exorcising people’s demons. He will retrace the 1,500-mile trek of Antoine Cadillac by driving a pearl white 1998 Cadillac DeVille from Detroit to Quebec City and back. Antoine Cadillac was a French explorer, politician, adventurer, diplomat, trapper and trader in New France. Olszewski explained why the white car is central to his travel project: “In Native-American tradition, the albino has healing powers and is considered sacred and magical. When my journey is complete, the vehicle will be ceremonially shot, skinned, ground down and used for medicinal purposes. Following the lecture, Olszewski will hold a workshop with the students of Young Artists at Work run by the Arts Commission of Greater Toledo in the CVA courtyard. During his visit to Toledo, the Cadillac will be on display all day until 7:30 p.m. outside the Center for the Visual Arts. More information about Olszewski’s work and journey is available here. The Glacity Theatre Collective has been selected to perform at the Toronto Fringe Festival June 29-July 10 and will present its original musical, “House of Vinyl,” written and composed by company members Dr. Edmund B. Lingan, UT associate professor and chair of theatre and film, and Timothy Lake. Originally developed and performed in Toledo one year ago, this tightly wound, bubble-wrapped, 55-minute psychedelic musical was developed as part of Glacity Theatre Collective’s Junkbox Theatre project. The idea is to take unfinished scripts, loosely connected scenes, current obsessions, scribbled notes and musical compositions with or without lyrics that company members have from previous inspirations and mash them together to see what sticks. The ultimate goal is a completely new story that any audience can appreciate. The musical has been reworked slightly since its original production and now features a smaller cast playing multiple roles. In the Toronto Fringe Festival format, companies have exactly 15 minutes to set up for each performance and another 15 to strike afterward, so the technical elements were streamlined to fit the festival parameters. Directed by Lake and based on a story that Lingan has written and re-written as a play, novel and screenplay, “House of Vinyl” focuses on Horton Stephen Wilder, who has an intense fear of open spaces, or agoraphobia. When Horton is forced out of his apartment and into the street because of a gas leak, he embarks on a strange and hallucinogenic journey involving lawyer-knights, psychic stingrays, a diaper fetishist, and yards and yards of vinyl. Will he ever make it back to his apartment and safety? Or will he be trapped in the “House of Vinyl” forever? Nolan Thomaswick is returning in the role of Horton. Other returning cast members are Jennifer Nagy-Lake, Tori Zajac, Lingan, and Holly Monsos, UT associate dean of the College of Communication and the Arts. New to the cast are Dr. Gary Insch, dean of the UT College of Business and Innovation, and Lynnette Bates and Noah York. The Lingan-Lake score is mostly guitar-driven and is played by Lingan and Insch, augmented with triggered samples. Andrés Medina is stage manager, costumes are designed by Bates, and lighting is designed by Cory Sprinkles. To help offset the cost of housing a company of 11 for nearly two weeks in Toronto, the collective has started a Go Fund Me campaign. To learn more or to donate, go to https://www.gofundme.com/Glacity. Before leaving for Toronto, “House of Vinyl” will play two performances Friday and Saturday, June 24 and 25, at 8 p.m. in the Center for Performing Arts Center Theatre. The doors will open 30 minutes prior to curtain. After the weekend shows in Toledo, the company will travel to Toronto for seven performances at the Robert Gill Theatre during the festival. To learn more about the Toronto Fringe Festival, click here. 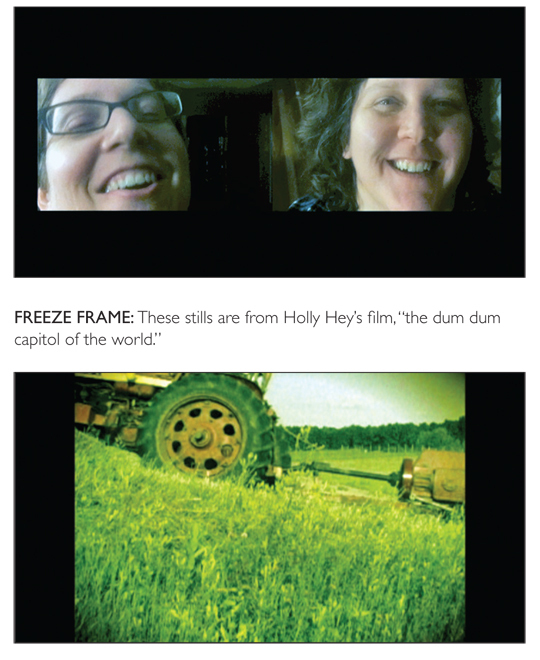 Holly Hey, UT associate professor and head of film, has been invited to screen her film, “the dum dum capitol of the world,” at Future Now: The Aesthetica Art Prize Symposium in York, England,Thursday and Friday, May 26-27. “the dum dum capitol of the world” will be shown as part of the specially curated selection of artists’ films and moving image works selected from the winners of the Aesthetica Short Film Festival over the last several years. Hey’s film screened at the 2015 Aesthetica Short Film Festival and will be showcased with high honor among the best at the Future Now: The Aesthetica Art Prize Symposium. “the dum dum capitol of the world” received the LEF Moving Image Award. She said the first-person experimental documentary is a moving-image meditation that contemplates landscape, home, recollection, queerness and time. “The project uses personal history to reflect on universal themes about home, life, love, parenting, memory and death,” she said. Hey began the project in 2005 when she received funding from the LEF Moving Image Foundation. She later received funding from The University of Toledo in 2012 and completed the film in 2014. Future Now: The Aesthetica Art Prize Symposium is an extension of Aesthetica Magazine, a British art and culture publication that covers photography, visual art, music, film and theater. It has a readership of more than 284,000 and national and international distribution. 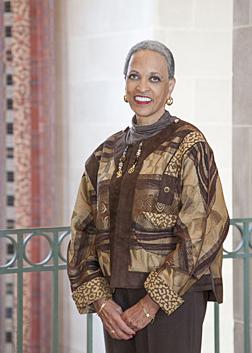 The symposium will consist of more than 40 speakers who will address diverse art topics. It also offers learning and networking opportunities through the industry sessions for artists. Hey, who holds a master of fine arts degree in filmmaking from the Art Institute of Chicago, makes a broad range of work that can be seen in galleries, film festivals, live performances and on television. Her works have screened both nationally and internationally, and the National Educational Telecommunications Association distributed her major release, “Rat Stories,” which aired on PBS affiliates in the United States, British Columbia and Puerto Rico. You know Nemo and Dory and Woody and Buzz, Simba and Nala and Shrek and Donkey. But are you ready to meet Bink? 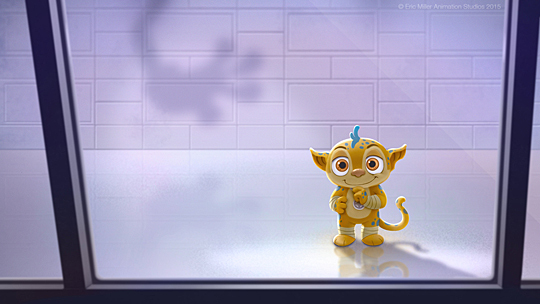 An adorable seafaring creature with yellow fur, blue spots that match an upright comb, and big brown eyes, Bink will be coming soon to a screen near you, courtesy of Eric Miller Animation Studios. Bink’s first test is about to begin. He found inspiration in the Minions’ shorts that feature the yellow hooligans on a white background. “I thought a similar style was a good idea; I could use a simple background and it’ll be character-driven and comedy-driven, and that’s where the initial idea for Bink started,” Miller said. 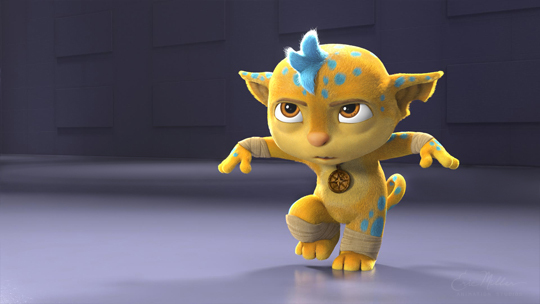 With former fellow DreamWorks Animation co-worker Charlie Petrek, Miller began shaping his small, sociable star. His sharp focus on art and cartoons began when he was growing up in Canton, Ohio. 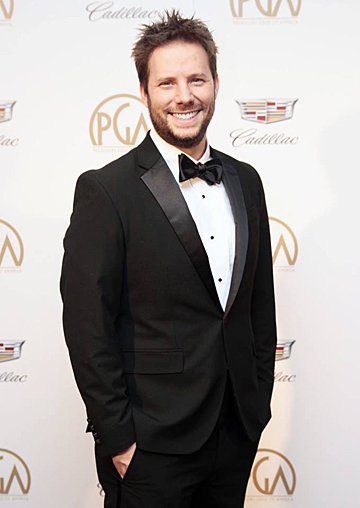 Eric Miller attended the 2016 Producers Guild Awards. So the disciplined teen — he earned a black belt in kung fu at age 11 — started to look for a college to make it happen. 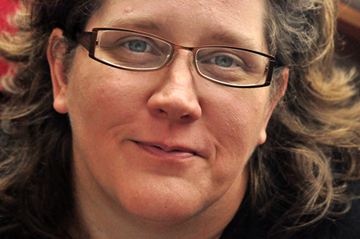 At UT, Miller created two animated shorts: “Chessmate” in 2001 and “Mediocrity” in 2005. 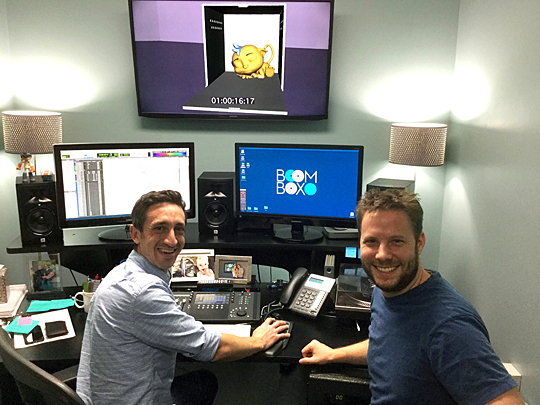 Eric Miller, right, and Jeff Shiffman, co-owner of Boom Box Post, work on sound effects for Bink. With a little assistance from a high school acquaintance who offered a place to crash in Los Angeles, Miller headed West in July 2005. Three months later, he moved to Sherman Oaks, where he shared an apartment with two UT graduates: John Kundly (Eng ’03) and Ben Hatch (Bus ’05). Bink strikes a martial arts defensive pose. Miller worked at a slew of places — Apple Store, Walgreen’s, B1 Media. Then he took a position at a temp agency that had a reputation for helping wannabes find work in entertainment. That led to a placement at DreamWorks Studios as a facilities production assistant, a job he later landed. But that vision of his own company still beckoned. “July 3, 2014, was my last day at DreamWorks, and July 4 was my first day of independence,” he said and laughed. Before long, Bink was calling. The first short is expected to debut online in May. “When you think of DreamWorks and Pixar, they have huge rooms full of processors called render farms. Rendering is a term used to describe the process where computers calculate what each pixel will look like based on the lighting calculations and reflections of different elements, and how they all come together to form a frame of animation. When these frames are played together is when you get animation. That takes a lot of computing power,” Miller said. Another exciting arrival: Miller and his wife, Karen, are expecting their second child this month. Their son, Kelton, 2, will have a sister soon. “It’s kind of funny how it’s working out that Bink and the baby will be here around the same time,” he said and laughed. Don’t miss Bink: Sign up to receive updates at milleranimation.com/bink. The winners of The University of Toledo College of Business and Innovation’s sixth annual Business Innovation Competition were announced April 20, with $17,500 in prize money being distributed to those who placed in the top four. The proposal for the Freedom Model Trumpet most impressed the judges, winning Mackenzie Miller, a senior music major in the UT College of Communication and the Arts, the first-place prize of $10,000. 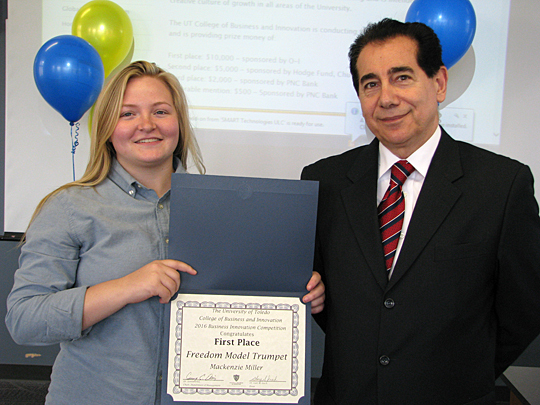 Mackenzie Miller, a senior majoring in music who will graduate this week, received the first-place prize in the College of Business and Innovation’s sixth annual Business Innovation Competition from Dr. Sonny Ariss for her Freedom Model Trumpet. Her company, Miller Handcraft, received $10,000. “The panel thought Mackenzie’s proposal was amazingly impressive,” said Dr. Sonny Ariss, professor and chair of the Management Department. Miller’s company, Miller Handcraft, designs and produces high-quality handcrafted trumpets. The Freedom model will be the first product to be launched. It combines the use of three standard piston valves, as well as an additional three-piston hand slide. This combination allows the musician to choose from the larger variety of musical performance styles. Originally from Orrville, Ohio, Miller said she fell in love with UT when she came here to major in engineering. At UT, she switched her major to music. Then she started building the Freedom model trumpet. A UT bus driver, Miller said she learned about the annual business plan competition — which is open to UT faculty, staff and students — by seeing a poster. “I was already planning on developing the business. I watched YouTube videos about developing a business plan and checked out the websites of suggested business plan sites, which were on the poster,” she said. Miller said after her proposal had passed the first round of judging and she was asked to present before the judges, she was quite nervous. Miller will graduate this week and plans on continuing the business. The list price of her trumpet is $4,500. • Second-place winner ($5,000) — Quick Deploy, Casualty Carry Harness by Joseph Strobbe. The deployable harness empowers a single individual to efficiently remove an injured person from immediate danger while maintaining full use of his or her hands. • Third-place winner ($2,000) — IceTyme by Kevin Gibson. The only app and website business plan in this year’s finals competition, IceTyme focuses on the marketing of ice rinks and targets hockey players, figure skaters, open skaters and rink managers to efficiently fill the facilities. • Fourth-place winner ($500) — Morpho Bag by Hannah Ogden, Kathryn Whitehill, Justin Lyberger and Andrea Liedel. This product will provide an improved method for removal of specimens during a laparoscopic procedure. 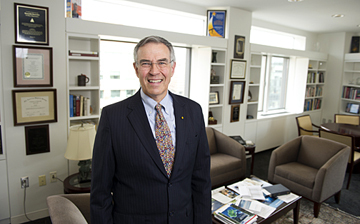 “We owe special thanks to the panel of area business professionals who donated their time and talents to serve as judges in the competition, carefully reviewing each of the 25 entries in the competition and then meeting with the finalists, hearing their presentations, and questioning them about their projects,” Ariss said. • Charles Hodge, financial advisor, Mass Mutual. Prize money is awarded to the newly formed business entities, not to the individual. 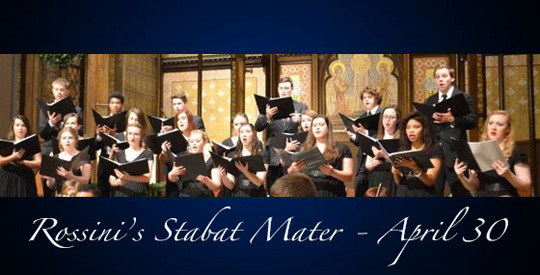 UT’s Concert Chorale, University Chorus and Community Chorus will perform together Saturday, April 30, for Gioachino Rossini’s “Stabat Mater” in Doermann Theater at 7 p.m. Accompanying these three groups will be a variety of soloists. Tickets are $8-$4 and are available through the UT Center for Performing Arts Box Office online at utoledo.tix.com or by calling 419.530.ARTS (2787). The concert will be directed by Dr. Brad Pierson, UT director of choral activities.